Item # 111908 Stash Points: 200 (?) This is the number of points you get in The Zumiez Stash for purchasing this item. Stash points are redeemable for exclusive rewards only available to Zumiez Stash members. To redeem your points check out the rewards catalog on thestash.zumiez.com. There's always gonna be haters, anywhere you go. 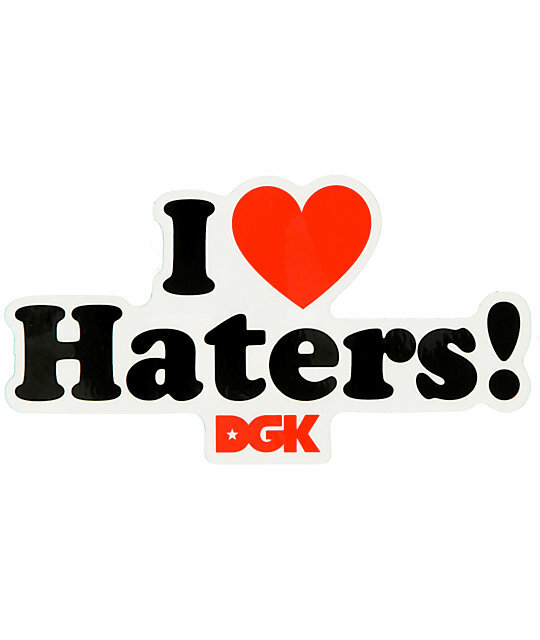 Custom DGK "I Heart Haters" sticker. Assorted colors, actual product may differ from sitcker shown. Zumiez will ship the first available color.